Homefront has had an interesting ride so far. Touted as THQ’s most pre-ordered game in company history, it debuted to middling reviews (ours included), which seemingly triggered a massive decline in THQ’s stock price. Still, despite reviews, THQ announced over 375,000 units in first day sales. It’s also worth noting that both Amazon and Walmart knocked $20 off Homefront the day after it released, which probably aided sales as well. 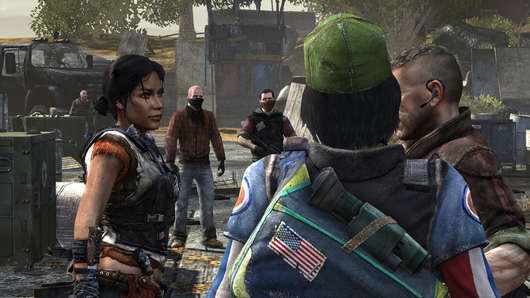 Whether or not Homefront proves profitable for THQ, well, that’s where analysts come in! Speaking to Benzinga, Wedbush Morgan’s Michael Pachter noted that THQ would need to move two million units to break even. In light of the need to move in excess of two million to yield a profit, Pachter called day one sales “a disappointing start,” adding that poor reviews could lead to stagnating sales moving forward. That said, Pachter does expect the title to at least break even. Bradley Safalow of PAA Research pins Homefront’s low review scores on its short single-player campaign. Had the campaign been two to three hours longer, said Safalow, “then it could have achieved a Metacritic of 80.” Safalow believes Homefront could bring in a “modest profit” for THQ, though he has much higher hopes for Saints Row: The Third. Finally, Wall Street Strategies’ Brian Sozzi expects Homefront to meet THQ’s overall sales goals with the help of downloadable content. Like Safalow, Sozzi’s firm is also “optimistic” regarding Saints Row: The Third and Red Faction: Armageddon. This entry was posted in Gaming, THQ. Bookmark the permalink.